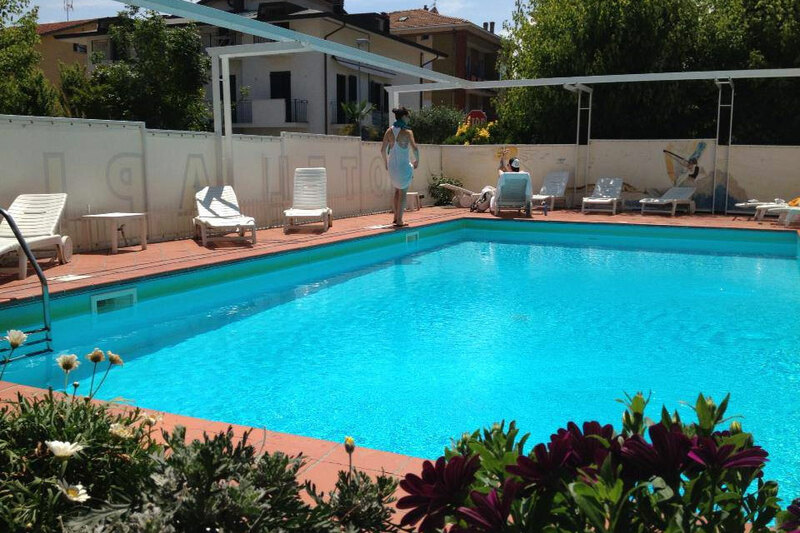 Hotel Apis is a 3 star hotel with private pool in Rivabella of Rimini, at 250 meters from the beach and 3 kilometers from Rimini Fiera. Rivabella is one of the favorite destinations of families in vacation in Rimini: merit of the fine sand of its coast and of the sea sheltered from the reefs, an additional safety measure for children. 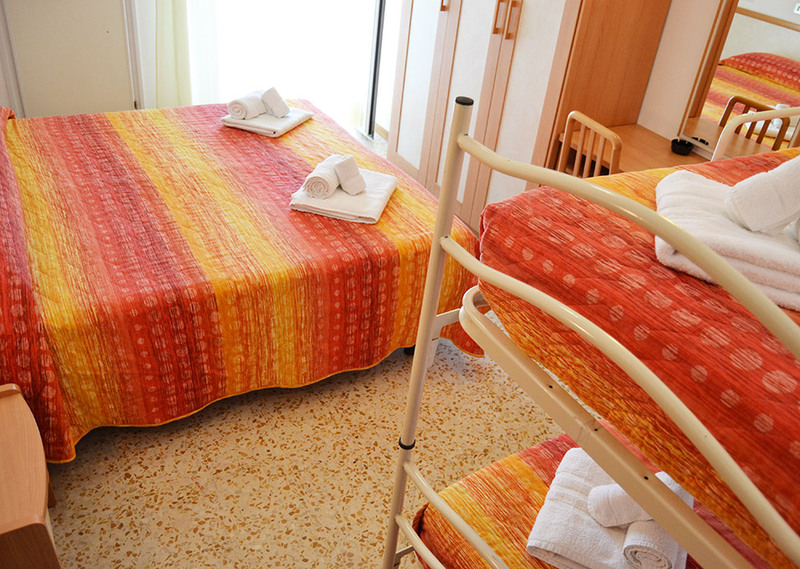 You can choose between different room types, both single rooms and rooms for families of 4. Our accomodations are all furnished in a contemporary style, have a private bathroom, free Wi-Fi and a lot of them also have a balcony. None of the rooms have a sea view. 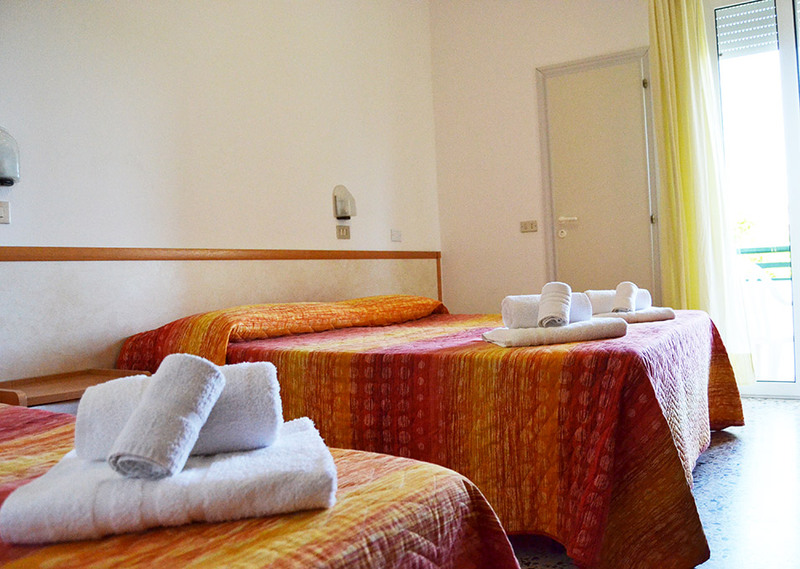 In this hotel you will find quiet and a sunny pool, surrounded from the solarium with sunbeds. You can relax on the edge of the tub while you sip an aperitif from our bar open 24/7. For the right amount of relax, you can also choose the shadow of our porch. And the fun? Other than a dive in the pool, you can play billiards and ping pong. Our breakfast is a buffet, with cakes and tarts freshly baked, sweets, fresh fruit, juices, yogurt, cereal, jams, and on request, products for celiacs, eggs, cold cuts and salami. For lunch and dinner, we can recommend the best restaurants: we let you save with our coupons, to eat in selected restaurants for reduced prices. The sea is very close, so you don't have to work hard to reach it with your kids. We have a beach service with collaborations in the best estabilishments of Rivabella: you can book your umbrella in our Hotel, in all comfort and at convenient prices. If you promised your kids to bring them to Mirabilandia, no problem: you can buy tickets from us, along with tickets for other amusement parks of the coast. If you are in Rimini for work, don't worry: Hotel Apis is open for events in the city and is 3 km away from Rimini Fiera and 4,5 km from Palacongressi. Are you coming with a private vehicle? Our hotel has 7 covered parking spots and some motorcycle spots in our closed courtyard, the parking spots aren't guarded. In addition, in the road in front of the hotel and the nearby streets, parking is free and at no charge. and private bathroom. A lot of them have a balcony. None of them have sea view. Small room without balcony. It has a window, a 19” LCD TV, hot and cold air conditioning, a safe, free Wi-Fi. A bathroom with a small window, shower cabin and hairdryer. The room is not soundproofed and it doesn't have sea view. It's the ideal room if you're looking for an inexpensive and functional solution. Most of the rooms have balcony; the others have a wide window, 19” LCD TV, hot and cold air conditioning, a safe, free Wi-Fi. The bathroom has a small window, hairdryer and it does NOT have a shower cabin. 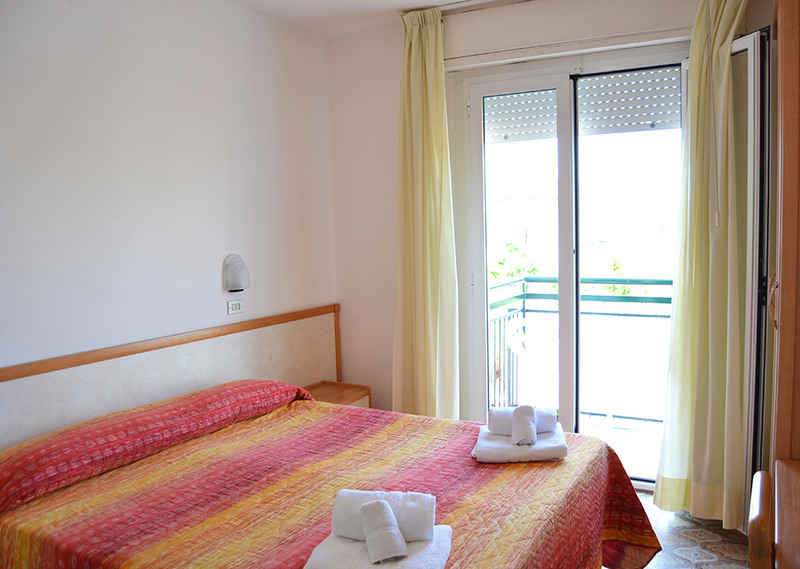 All of the rooms have a balcony, 19” LCD TV, hot and cold air conditioning, a safe, free Wi-Fi. The bathroom has a shower cabin and hairdryer, and in almost all of them there is a window. 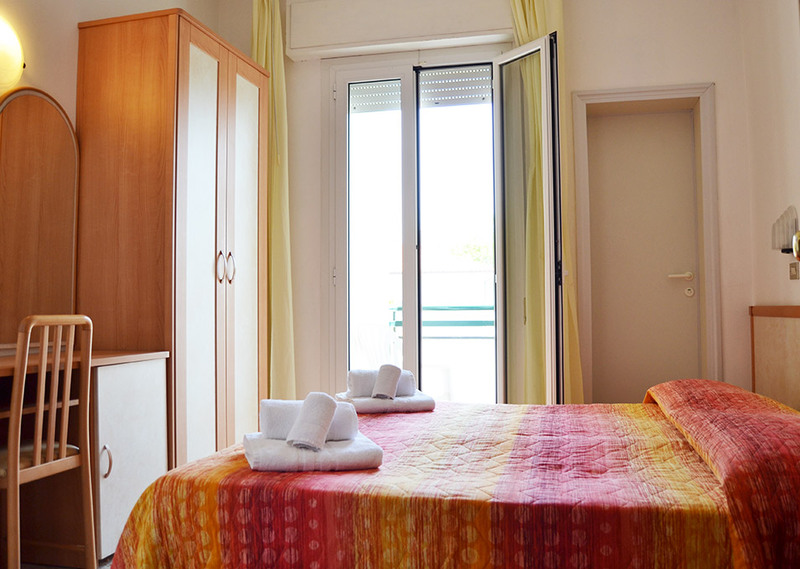 The room has a balcony, 19” LCD TV, hot and cold air conditioning, a safe, free Wi-Fi. The bathroom has a shower cabin and hairdryer, and in almost all of them there is a window. Most of the rooms have balcony; the others have a wide window, 19” LCD TV, hot and cold air conditioning, a safe, free Wi-Fi. The bathroom has a small window, hairdryer and a shower cabin.